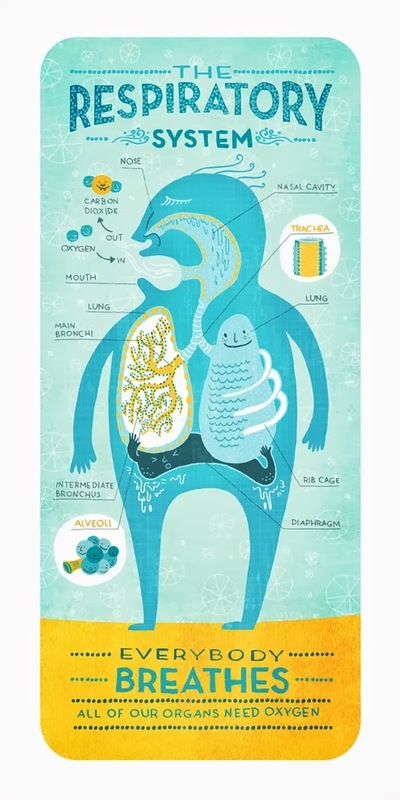 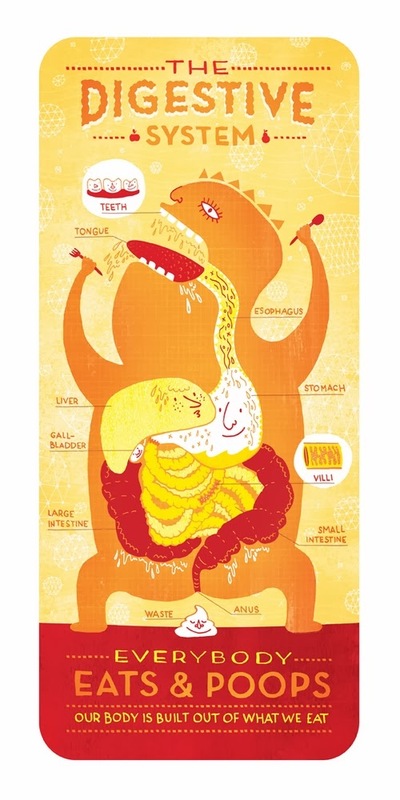 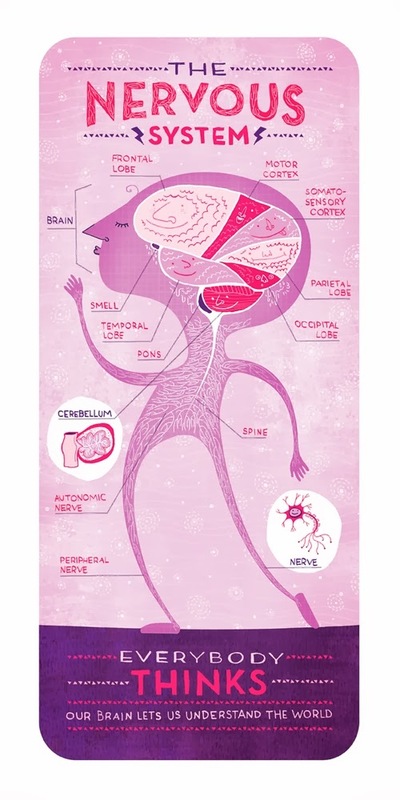 Graphic Designer and Illustrator Rachel Ignotofsky, has put together these lovely and helpful illustrations of the Body Systems, for children. 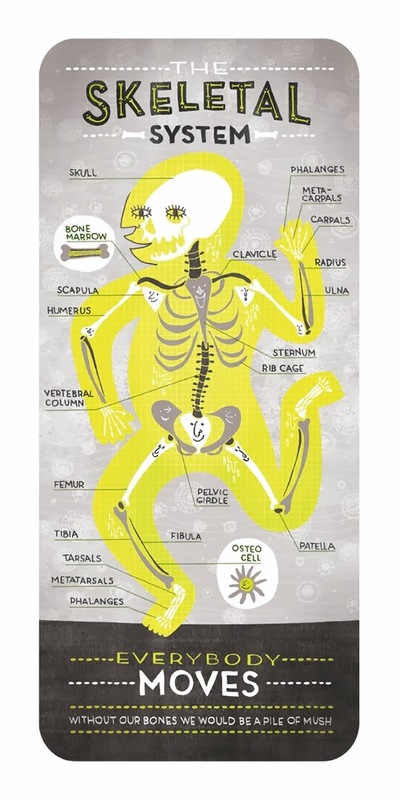 They are a good way of initiating your child to Anatomy in a fun way. 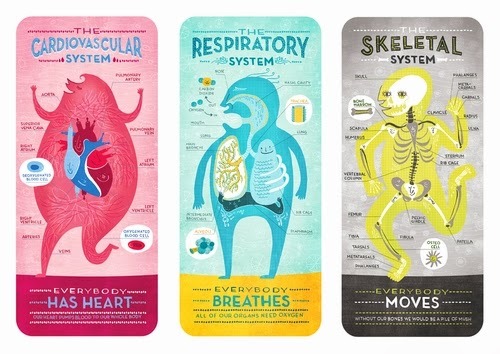 Systems depicted include Cardiovascular, Digestive, Nervous, Respiratory and Skeletal. 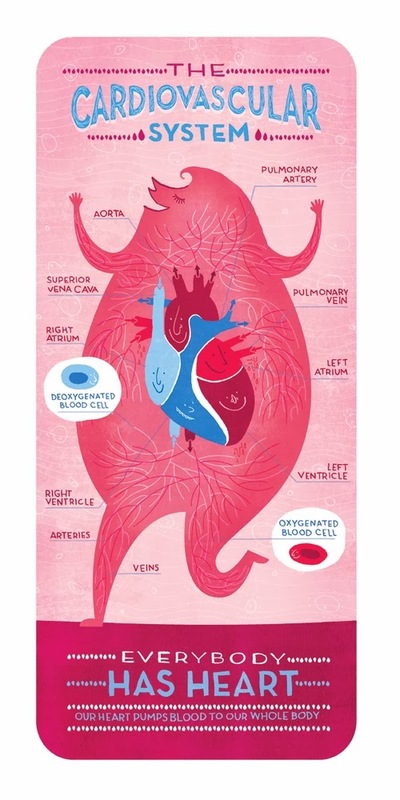 For full size pictures please refer to article.